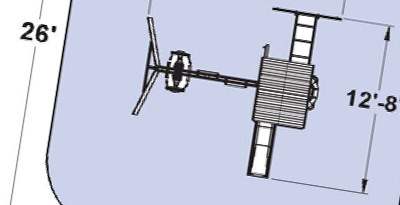 Layby your climbing frame today for delivery in September 2019! Our layby scheme means you only pay a 10% deposit today, with the full balance not due until your final settlement day (1st Sept 2019). Wait and pay the final balance in one payment, or pay in installments, whichever is easier for you. We'll contact you to arrange delivery in September once you final payment is made. 10% Deposit - You'll only need to pay a 10% (non-refundable) deposit to secure one of our quality climbing frames. No Interest - Our layby scheme is interest free (0%), so you don't pay any interest charges on your settlement payment(s). No Fees - We don't charge any extra fees, and there are absolutely no hidden charges. You pay only the advertised product price. Settlement Payment(s) - Want to pay a deposit and only one settlement payment before delivery? No problem. Want to pay a deposit and multiple settlement payments? No problem. You can login to your customer account and pay anytime. Convenient and Free Local Collection - We offer a convenient & cheap local collection service. You order online and we'll send your item(s) to your local pick-up depot for you to collect. 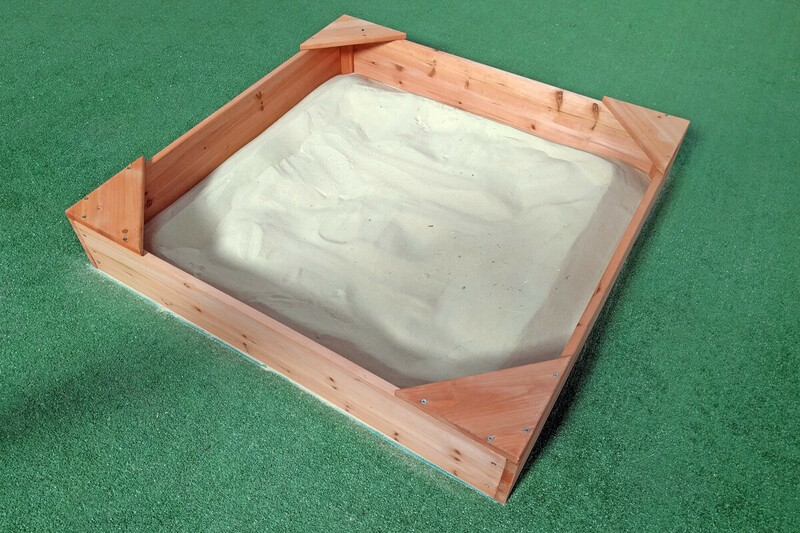 Sandpits perfect for little diggers and sensory play. from the excellent Selwood range is a fantastic value. 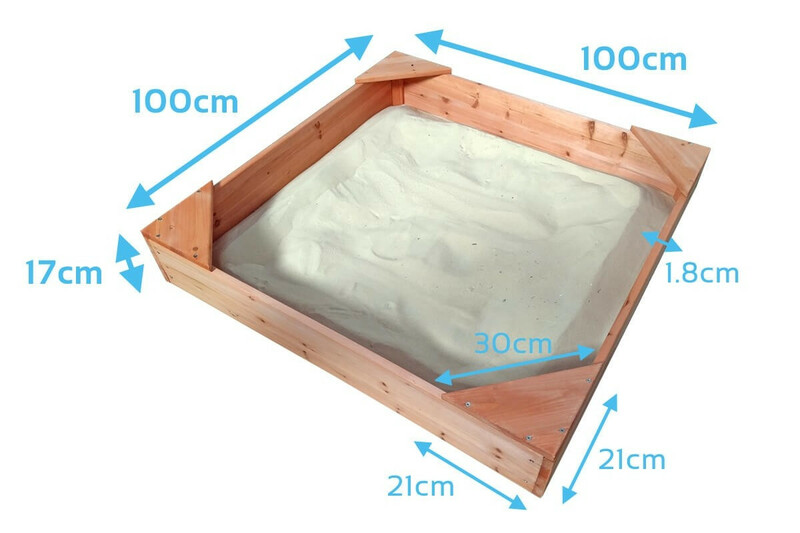 It comes flat packed on one box with all the wood, hardware, a waterproof cover and a canvas groundsheet to stop the weeds growing through. 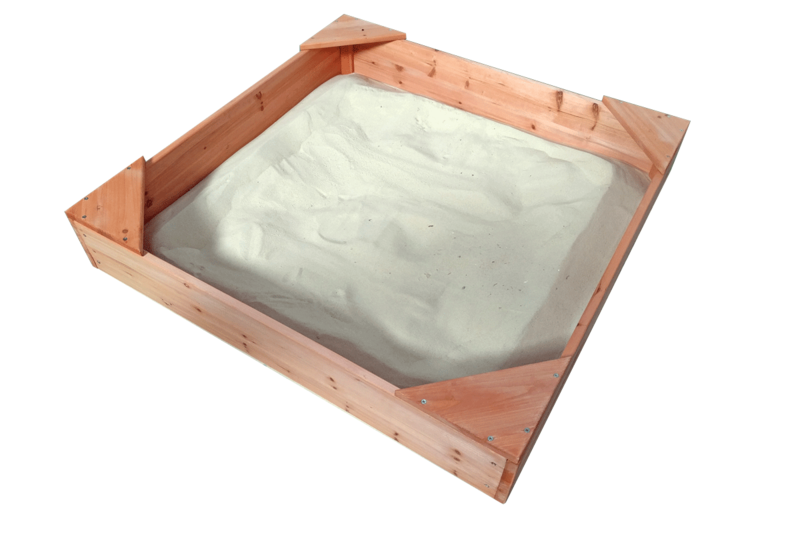 Children love to dig and build sandcastles and this sandpit does the job without a problem. Constructed from treated wood, it is also maintenance free. This sandpit will not fit within the base of any of the sets. Fantastique bas à sable. Très facile à monter, ça nous as pris 1 minute. Je le recommande vraiment et je l'ai déjà recommandé à tous mes amis. Superbe bac à sable ! Ma fille l'adore ! Dès qu'il y a des enfants à la maison, ils vont directement jouer avec. Rapide à commander et rapidement livré. Nous avons profité des soldes pour l'acheté et nous en avons eu 2 pour le prix d'un. Il est très bien fait et le bois est résistant et doux. Ça convient parfaitement à mes petits-enfants de 2 et 5 ans. Quick and easy order and delivery. Took advantage of sale offer and got 2 for the price of 1. Very well made with smooth and sturdy wood. Exactly suits my grandchildren age 2 to 5. Absolutely fantastic sandpit! My daughter loves it! whenever we have kids around they all go stragiht for the sandpit. I searched for ages for an inexpensive wooden sandpit. Well known brands some as plum were really expensive with bad reviews. I accidentally stumbled upon this one whilst looking at other things. I though it was too good to be true for this price, but went for it. Truly impressed with the high quality wood, lovely appearance, and it even comes with a cover!!! A very sturdy frame and nice nice. Corner seats are a bonus too. Highly recommended!!! 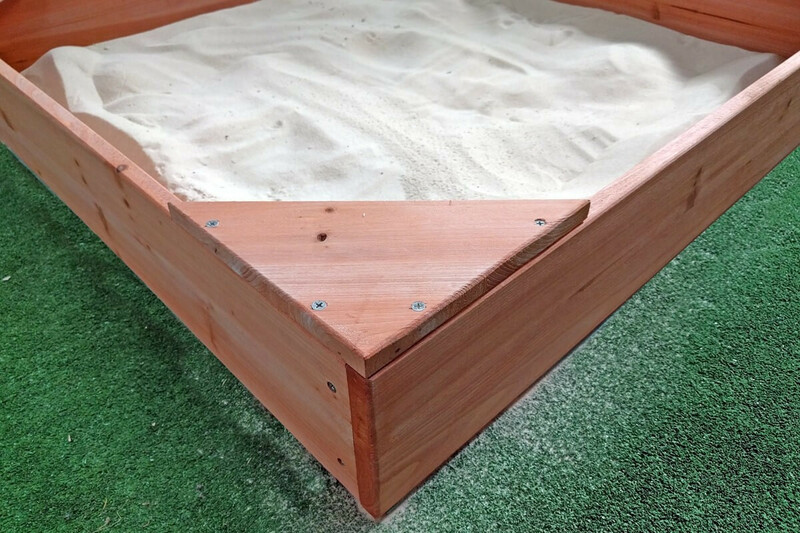 This is the perfect sandpit for a small garden. It's easy to put together and sturdy once it's up. The corner seats are great for both kids and adults! We have painted ours to match the cubby and it looks great. 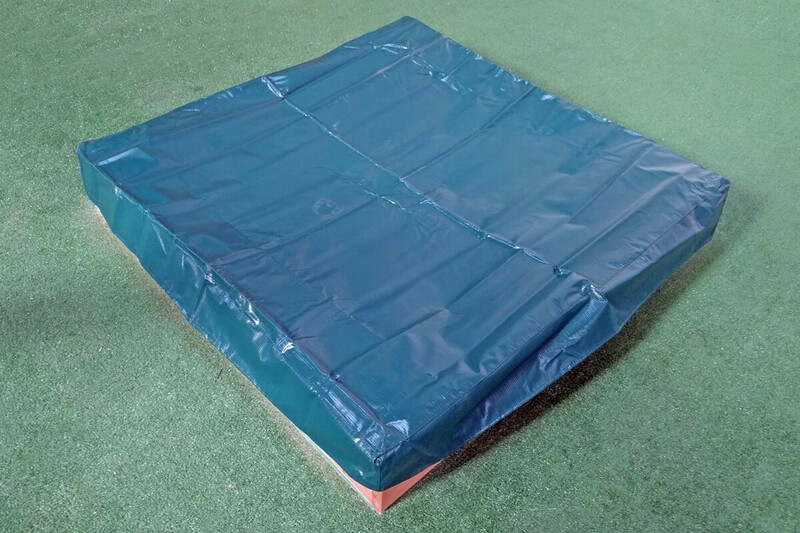 The cover is excellent and it is nice & snug to keep rain, cats & critters out, yet easy to get on and off. My daughter loves it! This is such a great quality sandpit, my son loves it! Love that there is free delivery too. Amazing little sandpit, my two kids love it. It's 1m sqaure and took about 10 bags of play sand. I got my sand from homebase.